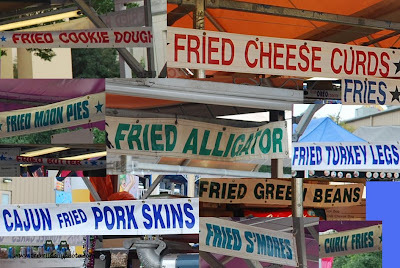 I wasn't about to try all the different foods that are available at the fair. Instead I will give you a small idea of what they were offering just by the signs. The other day I mentioned that I liked kabobs at First Monday. 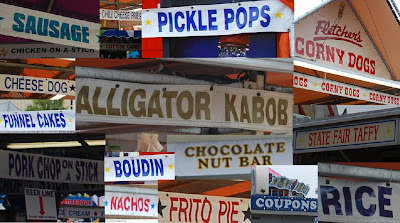 I think I will pass on the alligator kabobs. We always have Fletcher's Corny Dogs. Tomorrow the rides, including the Texas Star.